Special Fruit has a plantation with organic blueberries in Grandola, Portugal. 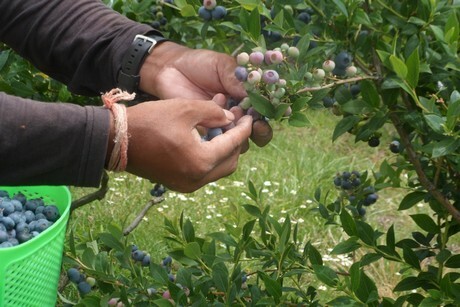 The farm grows 100 per cent organically, and has 17 hectares of blueberries in total. The most important sales markets are Austria, Germany, the UK, Belgium and the Netherlands. Organic blueberries are also shipped to Scandinavian countries such as Denmark and Sweden from Belgium. “We think it’s important the organic blueberries are of high quality, and we’re at this level with the blueberries. Organic quality is often a bit poorer, but we’re striving to be equal or even better than conventional,” Piet continues. The availability of blueberries across the world is very great. “This means greenhouse production of blueberries will gradually disappear. 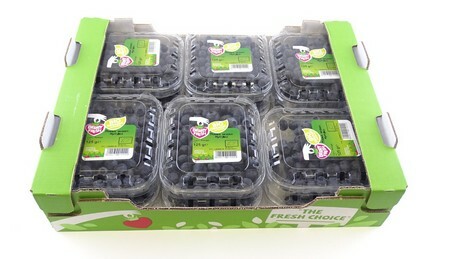 Greenhouse production is much too expensive, and the supplement price of greenhouse blueberries will become much too low. Considering the changing weather, we’ll see some things changing in the production of blueberries. The weather is becoming more extreme with rain and hail. Growers will have to cover their fields to protect their harvest,” Piet says. Of the amount of blueberries (organic and conventional), 80 to 85 per cent is meant for retail. Besides conventional, many retailers also have organic berries in their assortment. “Redcurrants won’t become as popular as blueberries have become. Consumption is only decreasing, as well as the number of growers. 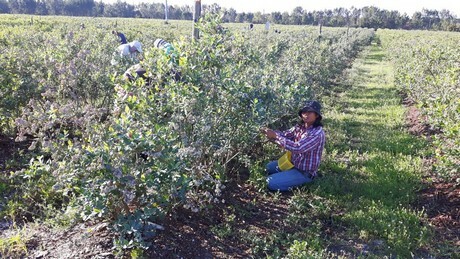 The number of growers of organic blueberries continues to increase. 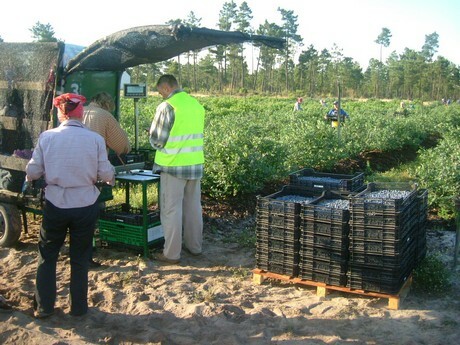 Next year, we’ll have 17 hectares of additional production of organic blueberries in the Netherlands, because many growers are switching to organic,” Piet concludes.